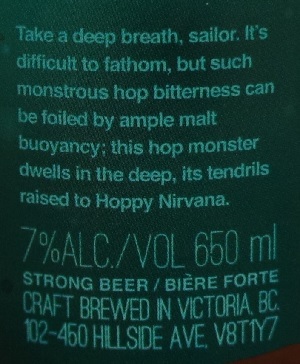 Brewer Description: (from bottle) Take a deep breath, sailor. It’s difficult to fathom, but such monstrous hop bitterness can be foiled by ample malt buoyancy; this hop monster dwells in the deep, its tendrils raised to Hoppy Nirvana. Intro: At first glance, there was no bottled on date, and I bought it anyway. Only after I got home and poured it out could I finally see this faint dating on the neck of the bottle in the light and I was kind of disappointed. To have a bottling date is great, but it should also be clearly shown… not hidden away only to be seen at certain angles. But anyway, this was a 650ml bottle with a bottled on date of 12th April 2016, poured into a Spiegelau IPA glass. Appearance: It poured a slightly hazy golden orange colour with a big three finger off white head that had good retention and left lots of sticky lacing. 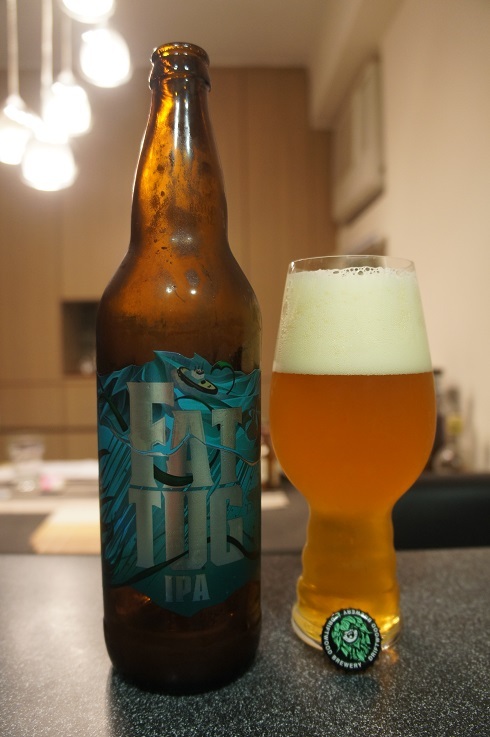 Aroma: Strong orange, orange juice and orange zest aromas, tropical mango and passionfruit notes here and there along with pine and light caramel. Taste: Lightly bitter citrus grapefruit, orange and orange zest. Sweet caramel malts, lightly biscuity, pine resin with a touch of pineapple. 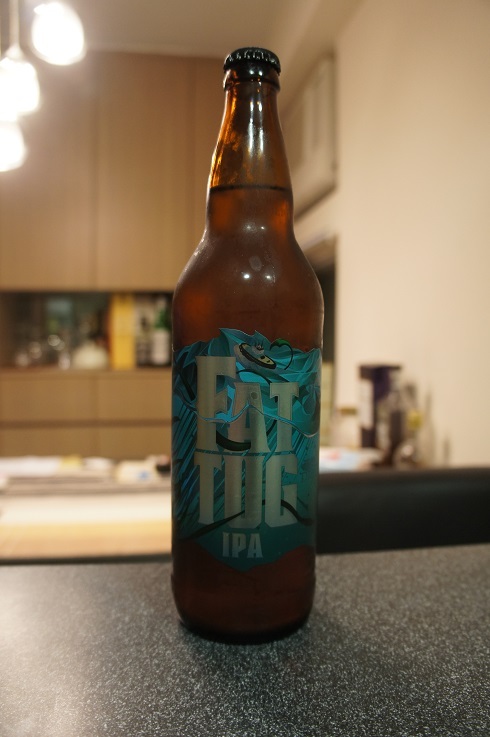 Overall: This IPA was pretty good with nice bitterness, albeit also a little on the sweet side for me with the caramel, biscuit and pineapple.